Scott is the Owner of House to Home Inspections. He is committed to easing the stress involved in the home buying/selling process by working diligently to inform you of potential deficiencies in your prospective property. Scott will provide you with the information you need to make a confident decision in your purchase. 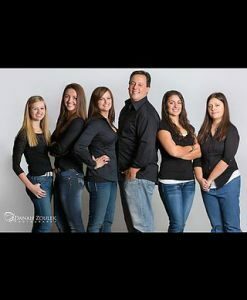 When Scott is not golfing or performing inspections, he as well can be found having coffee with his wife Amy, or hanging out with one of his 4 daughters. Your Premier Milwaukee Home Inspection Company | Let this experienced Milwaukee Home Inspection company help keep you from buying The Money Pit. We’ll alert you to any and all health or safety issues and maintenance needs of the home you’re looking to buy. All of our inspectors have been trained by The All American Training Institute and belong to The All American Association of Home Inspectors: http://www.aaahi.org. Owned and operated by inspection specialist, Scott Newcomer, House to Home Inspections prides itself in being committed to following high standards and providing professional service to all of our customers .